The Meiji at 150 Project commemorates the 150th anniversary of Japan’s 1868 Meiji Restoration. As part of the project, UBC Library digitized works from the Meiji period (1868-1912), including 21 woodblock prints, 1 hand-painted kimono book, over 41 photographs, a 7-volume book on the Ainu, and more. 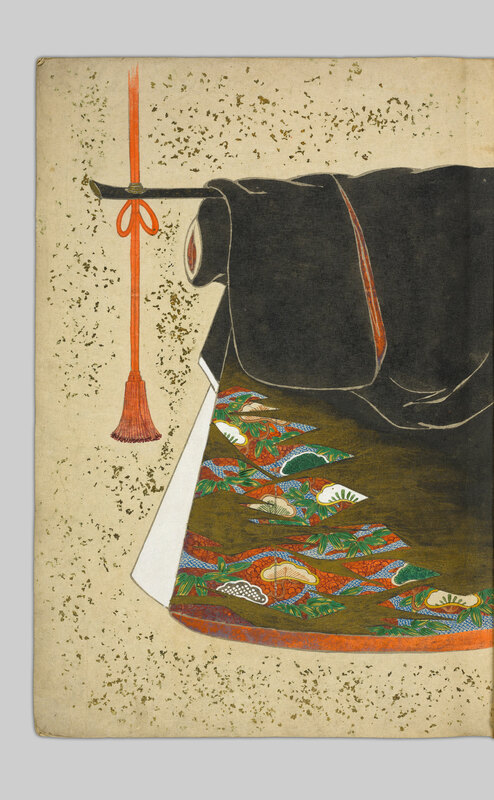 As part of the newly launched Meiji at 150 Digital Teaching Resource (DTR), fifteen visual essays were curated for the project to pair with the digital collection, providing historical context and analysis for many items. 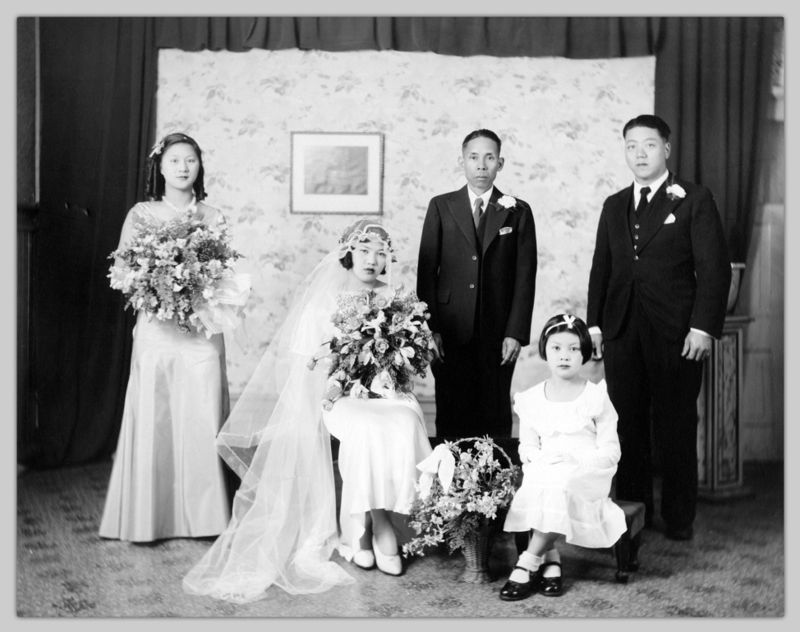 This digitization project is generously sponsored by the Consulate-General of Japan in Vancouver. These Japanese woodblock prints depict Meiji modernization, showing Western architecture in Japan. Naoko Kato, Japanese Language Librarian at UBC Asian Library and DTR co-editor, explores these prints by focusing on Japan’s self-depiction in her essay, “Reviewing Meiji via Japanese-Canadian Connections”. 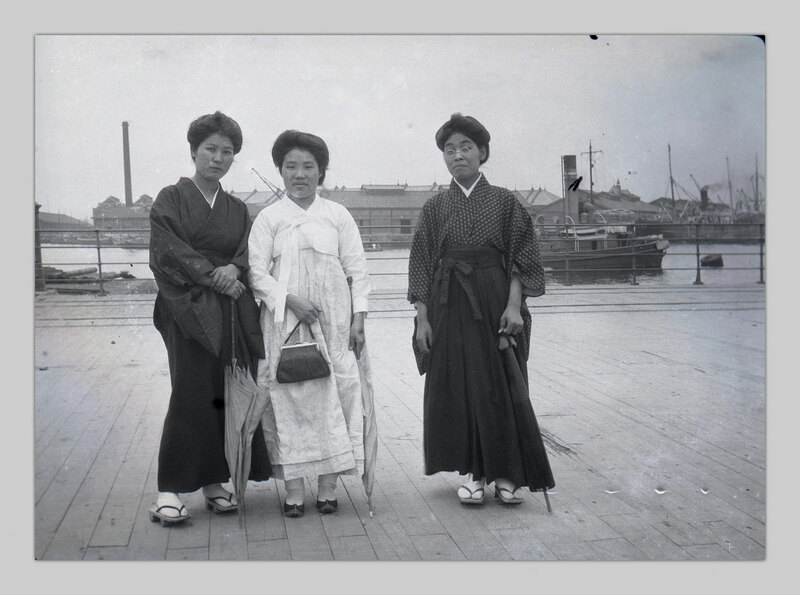 Her essay draws connections with how Canadians viewed Japan and with Japanese-Canadian perspectives, pulling from other digitized materials in Open Collections. 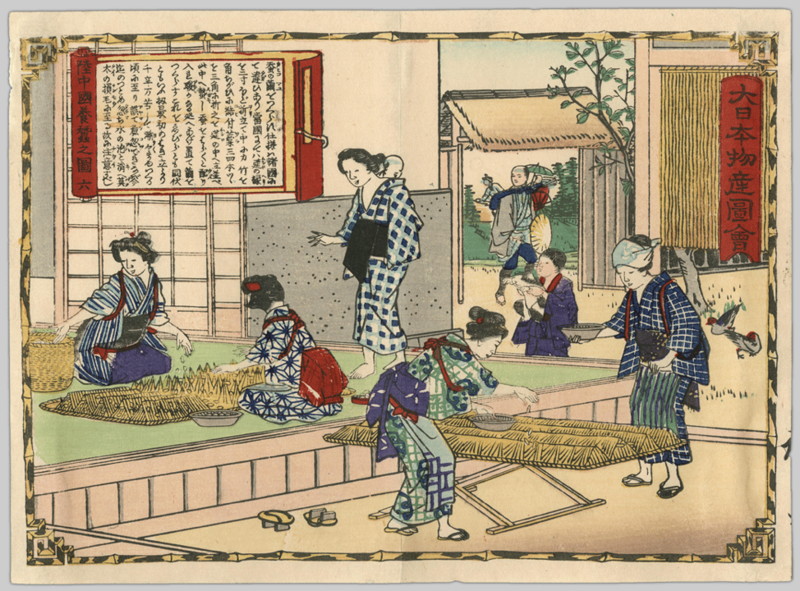 Fellow co-editor Tristan R. Grunow, from UBC’s Department of History, analyzes how these woodblock prints support a particular narrative of Ginza Bricktown in his essay “Ginza Bricktown and the Myth of Meiji Modernization”, when in fact modernization was not a straight-forward project. Ikkei. Kaiunbashi Kawaseza no zu, . Utagawa, Kuniteru. Tōkyō Asakusabashi kisen shijo rōshō jōkyō tsūkō rakueki kōka no zu, [1874?]. Utagawa, Kuniteru. Daiichi Daiku Kyōbashi yori Shinbashi made renga ishizukuri shōka hanjō kisen sōtaku seikei, [between 1870 and 1874]. This book contains 21 hand-painted kimono designs. 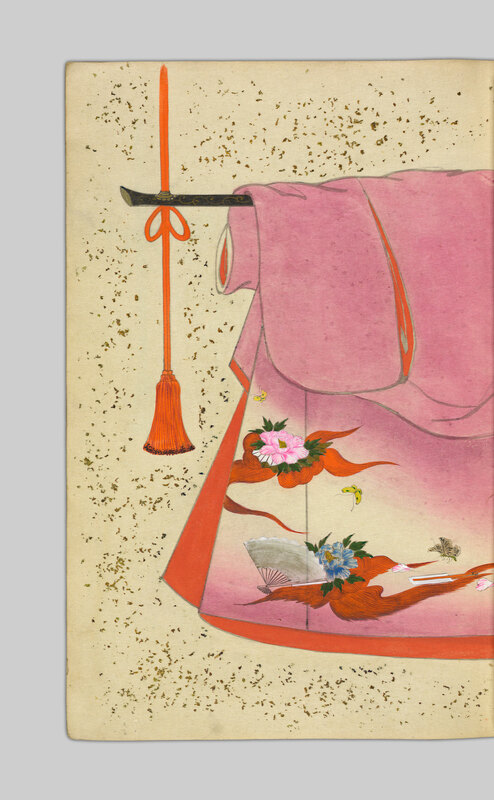 Ayako Yoshimura’s essay “A Glimpse of Meiji Kimono Fashion” provides context, including the history of pattern books and the symbols in common motifs. Here are some of the designs – you can explore the full book here. Moyō no hon, [between 1875 and 1880]. 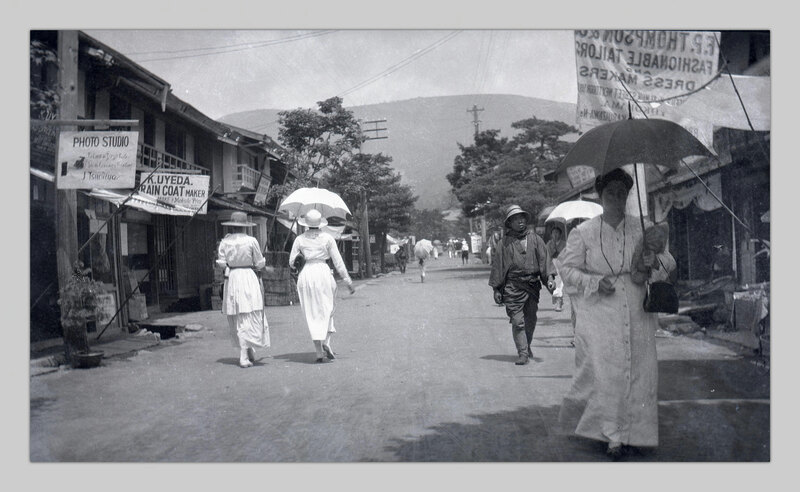 As part of the Meiji 150 project, UBC Library digitized selected photographs from the John Cooper Robinson fonds, in Rare Books & Special Collections. John Cooper Robinson was a missionary and photographer who spent time in Japan from 1888 to 1925, photographing Japanese life in the Meiji period. Allen Hockley’s essay describes how John Cooper Robinson used commercial photography studios as part of his amateur photography practice. In “J. Cooper Robinson: A Canadian Missionary and Photographer in Japan, 1888-1925”, Benjamin Bryce (Robinson’s great-great-grandson) explores Robinson’s photographic motivations and themes. [Robinson, John Cooper]. Yokohama pier, May 1918. [Robinson, John Cooper]. Main Street Karuizawa, August 1917. [Unknown]. J.C.R. 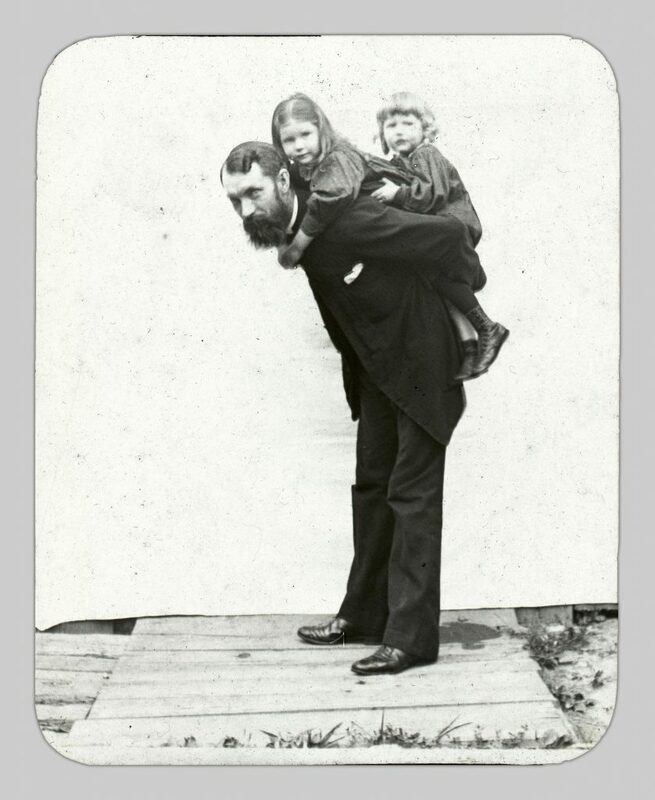 with Hilda and Cuth[bert] on back, [1900?]. 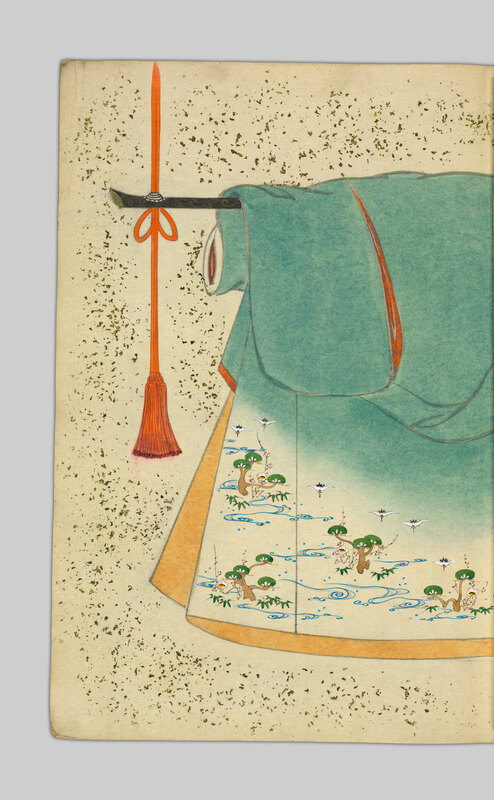 Hiroshige III. Rikuchū no kuni yōsan no zu. 6, . Hashimoto, Chikanobu. Shōgaku shōka no ryakuzu, [1887?]. To learn more, check out the Meiji at 150 Digital Teaching Resource, which provides a great entry point to Japanese-related digital collections at UBC. Thanks to a Teaching and Learning Enhancement Fund grant awarded to the Scholarly Communications and Copyright Office, you can also view the essay collection as a digital book, Digital Meijis: Revisualizing Modern Japanese History at 150.